The United Nations remains the only universally representative and comprehensively empowered body the world has to deal with challenges to the security and welfare of the world society. However, the awareness of these challenges grows unevenly. Often the awareness first develops among the representatives of non-governmental organizations (NGOs) who present these ideas to governments. In other cases, awareness will be developed by some governments who face these challenges most directly and who then try to build support among other governments. 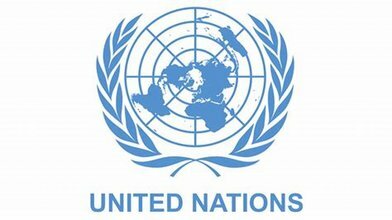 The first is the incorporation of separate intergovernmental organizations into what is called the “U.N. system” or the “U.N. family”. The second is to create a program within the existing U.N. Secretariat, often after having held a world conference on the issue. The incorporation of the International Organization for Migration in 2016 into the U.N. system as a “related organization” is an example of the first type. It is a sign that both U.N. officials and major governments recognize that the issues of migration are important and that these migration issues will continue to be a major challenge to the world society. The International Organization for Migration had been officially created in 1951 to deal with the large number of refugees and displaced people in Europe as a result of the Second World War. In practice, the Organization had started its work three years earlier to help displaced persons and refugees migrate from Europe toward South America which had not been a victim of the war as Europe had. The United Nations system of Specialized Agencies, Associated Organizations, and Programmes have grown in a pragmatic fashion as governments and NGOs have come to realize that there are long-standing issues that require cooperation. Some of these bodies had already been created and were associated with the League of Nations. 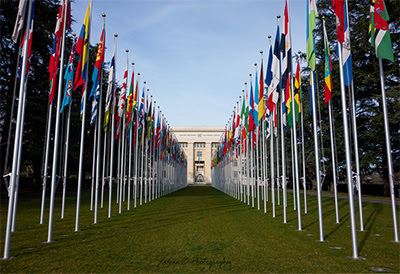 This was the case of the International Labour Organization led by the strong-willed Albert Thomas, which like the League of Nations had its headquarters in Geneva. Geneva was also the home of the International Bureau of Education headed by the path-making child psychologist Jean Piaget. The Bureau’s aim was to develop cooperation among Ministries of Education and to improve formal education, especially at the primary and secondary levels by sharing research on the needs of children and pedagogical advances. The Bureau is now incorporated into UNESCO but its office remains in Geneva. The Food and Agriculture Organization in Rome is a continuation of the Agriculture Institute created by the King of Italy and associated to the League of Nations. Other international institutions were created as a response to the monetary disorder of the 1930s and the destruction caused by the Second World War: The International Monetary Fund and the World Bank, both in Washington D.C. and the World Trade Organization in Geneva, originally the General Agreement on Tariffs and Trade. Programs within the regular U.N. Secretariat have developed as awareness of issues has grown. This has been the case for the programs on development, on the environment, on women. The U.N. Specialized Agencies and related institutions did not grow up in a planned way, although many correspond to government ministries within national governments: Education, Health, Transportation, Agriculture, Finance, Housing, Environment. All these institutions have grown as governments realize that all issues transcend national frontiers and must be worked on in a cooperative way. The key element in each case of creative responses to major challenges has been leadership. Enlightened leadership with clear vision and with political courage in articulating the way the world has changed and the directional flow of the next cycle has been the motor for creation. Such leadership within the U.N. Secretariat, within national governments and within non-governmental organizations is needed so that the U.N. will continue to be an instrument of transformation to benefit all the world’s people. Have Muslim failed Islam in dealing the caste discrimination issue? Vikram on Banaras Hindu University – A den of patriarchy? Peoples Voice on Can Madrassas be compared with RSS run Schools? Ashish Singhal on Can Madrassas be compared with RSS run Schools?